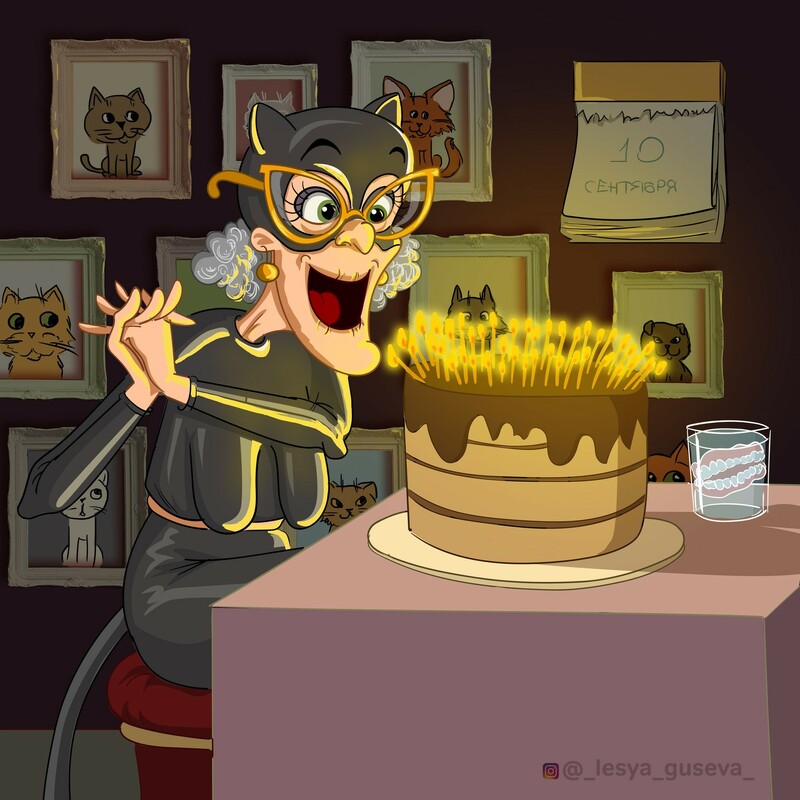 Perm-based cartoonist Lesia Guseva decided to share with the world her vision of what everyone’s favorite superheroes and fairytale characters might look like when they’re retired! 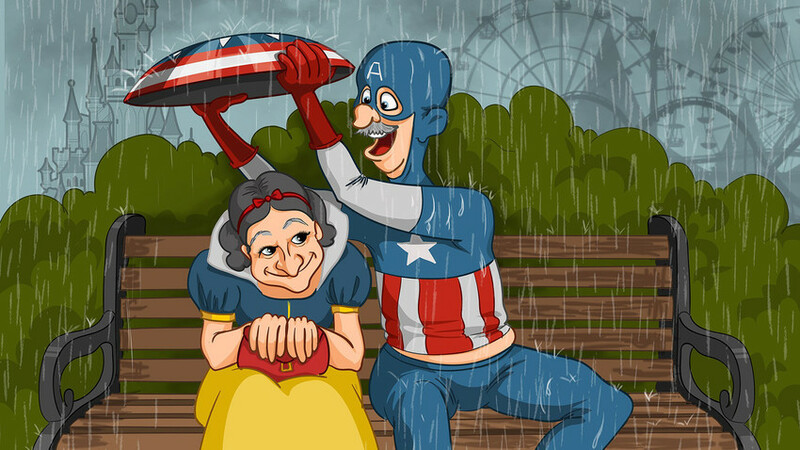 Dubbing the collection ‘Pensioneria’, she included crowd favorites from the Marvel, DC and oddly, the Disney universe. You can see the entire lot on Guseva's Instagram. 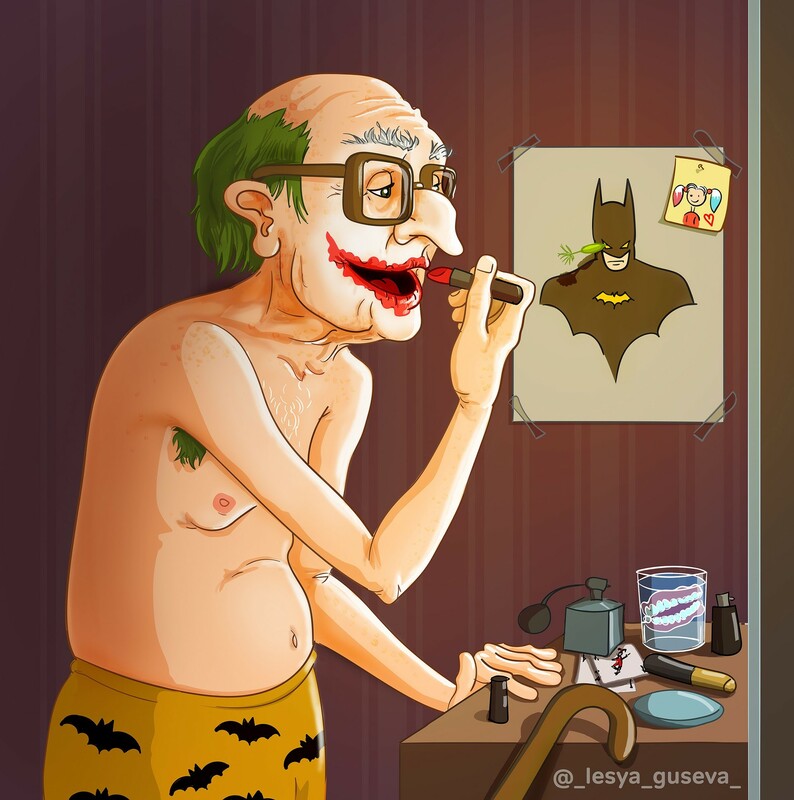 Then came the Joker’s turn, followed, of course, by Batman. 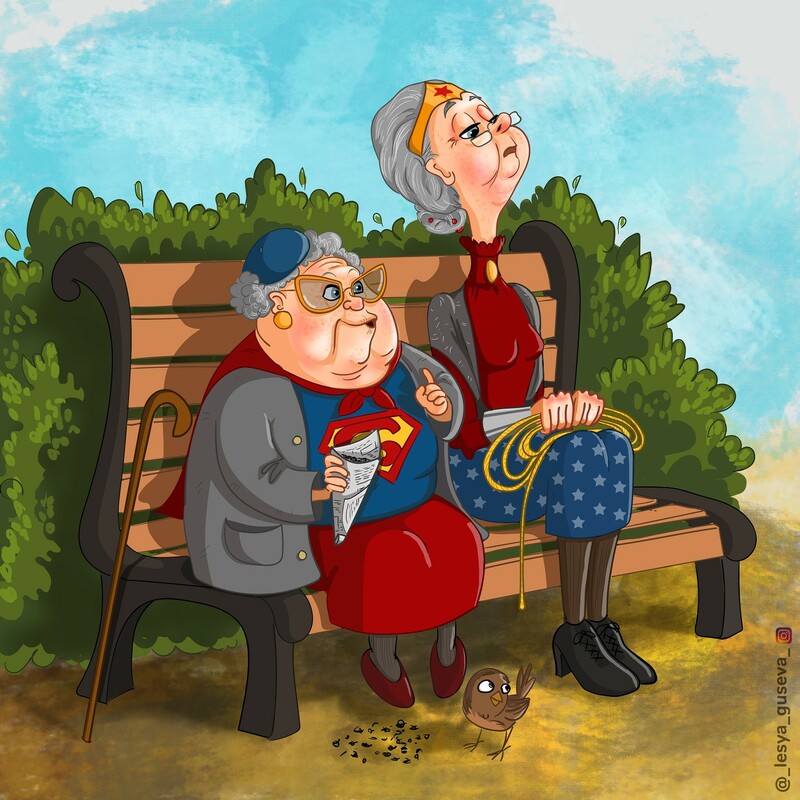 Supergirl and Wonder Woman look like they’re enjoying their time knitting and feeding birds in the park. 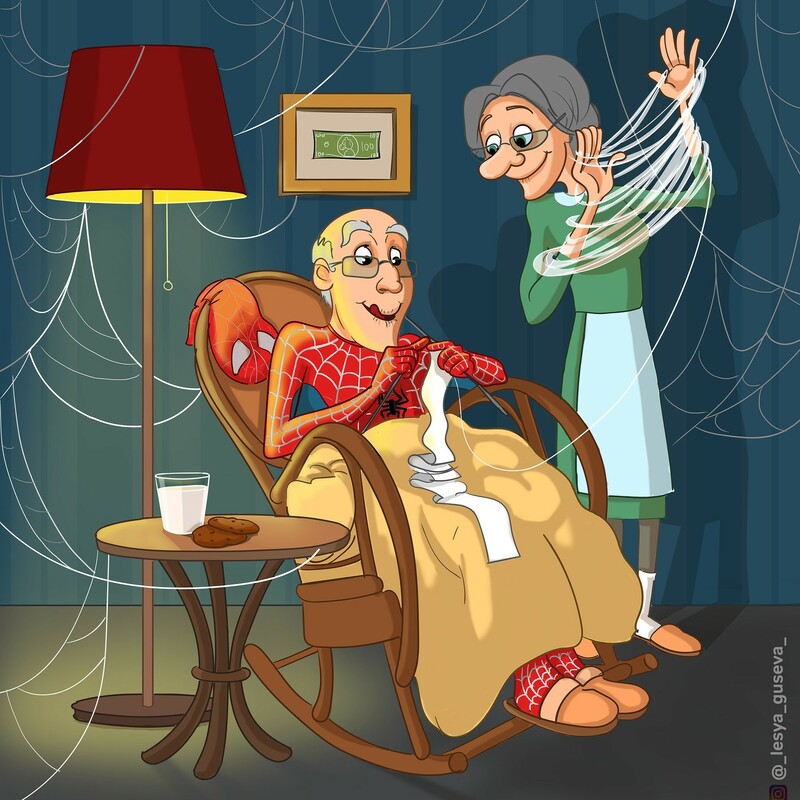 Spiderman has finally found a creative outlet for his uncanny ability. 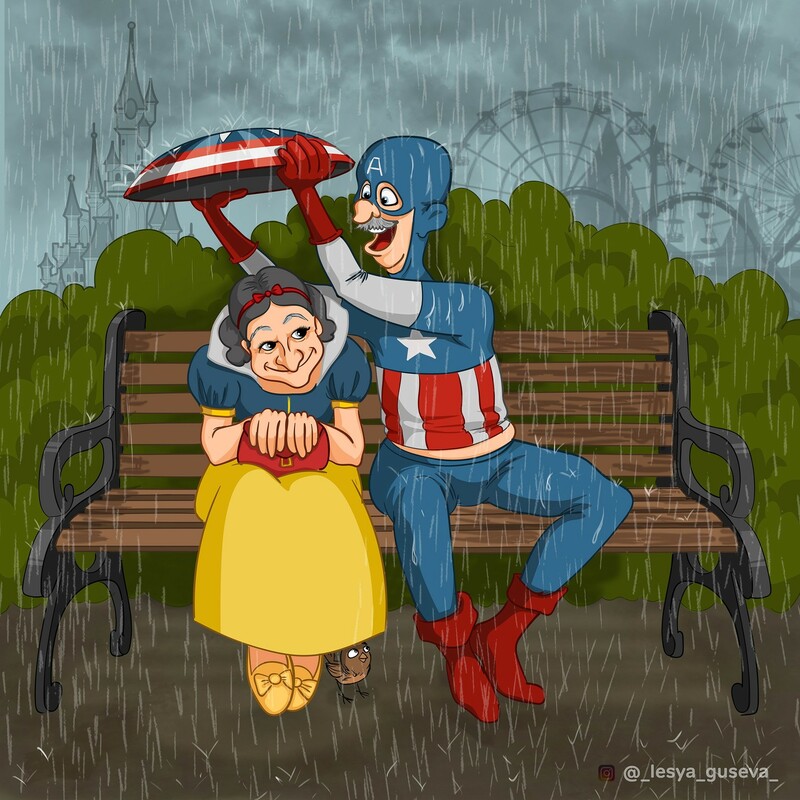 Captain America somehow manages to break through the Marvel Universe wall, and enter the Disney universe in order to date an elderly Snow White. Here’s hoping we don’t get a crossover movie. Though don’t bet on it – movie studios have to eat too. We’ve saved the best for last: Hulk on a visit to his eye doctor. 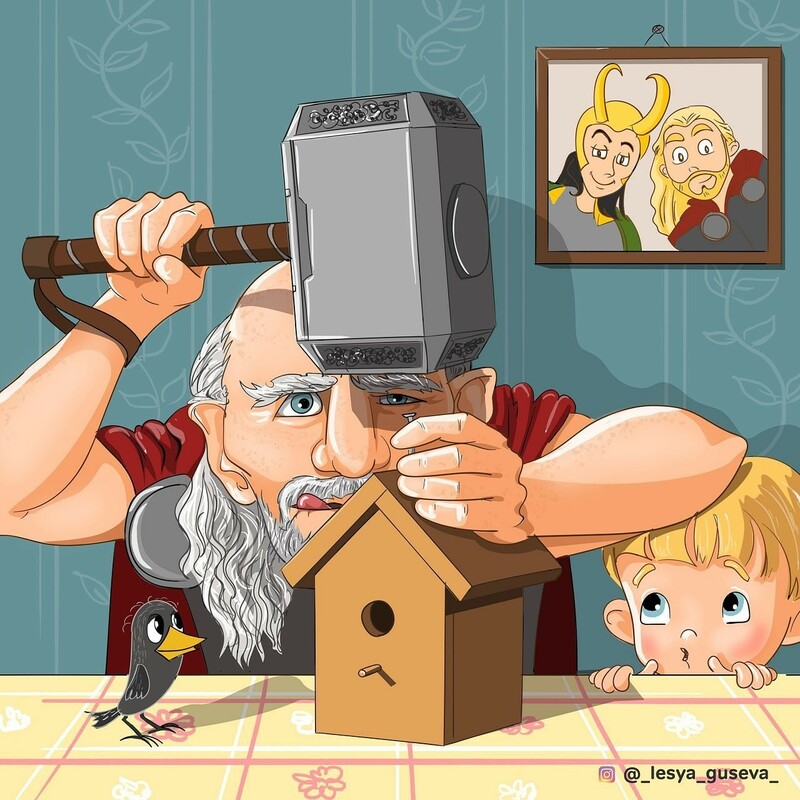 And here’s Thor, who’s finally found a practical use for his gigantic hammer, besides battling dimension-hopping gods.